Cape Byron Management proudly supports the efforts of our fantastic teams as they undertake productive and safe work practices. On a day to day, week to week and month to month basis, our people consistently show that we can come to work in a high risk environment and perform diligently, ensuring we not only achieve our production targets, but maintain a high safety standard at the same time. 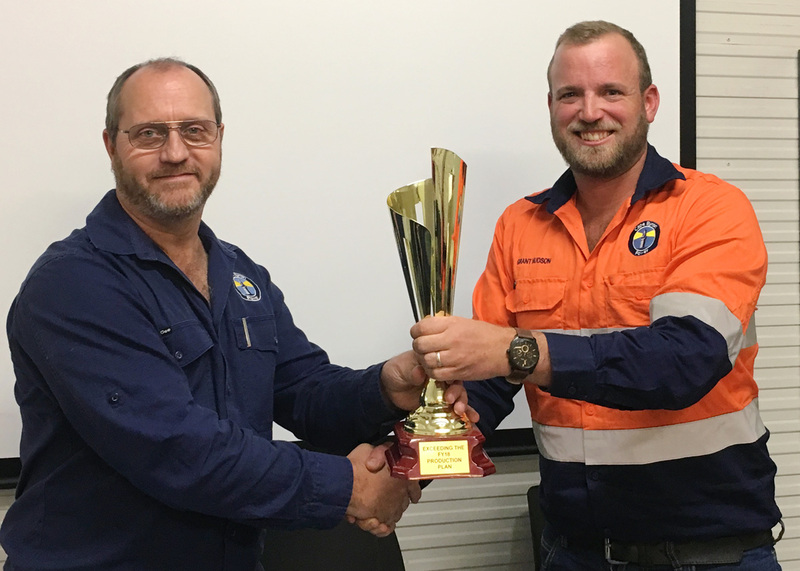 Cape Byron Management recognises the site team who demonstrates effort and capacity above the expected, and reaches beyond their monthly goals, by the presentation of a trophy. The metrics used to determine the award include amount of energy produced, number of safe acts observed and ability to produce safely in any given month. Gerhard Laubscher (General Manager) congratulates Grant Hudson (Condong Operations Manager) on Condong exceeding the FY18 Production Plan and presents Grant with a trophy for the Site. 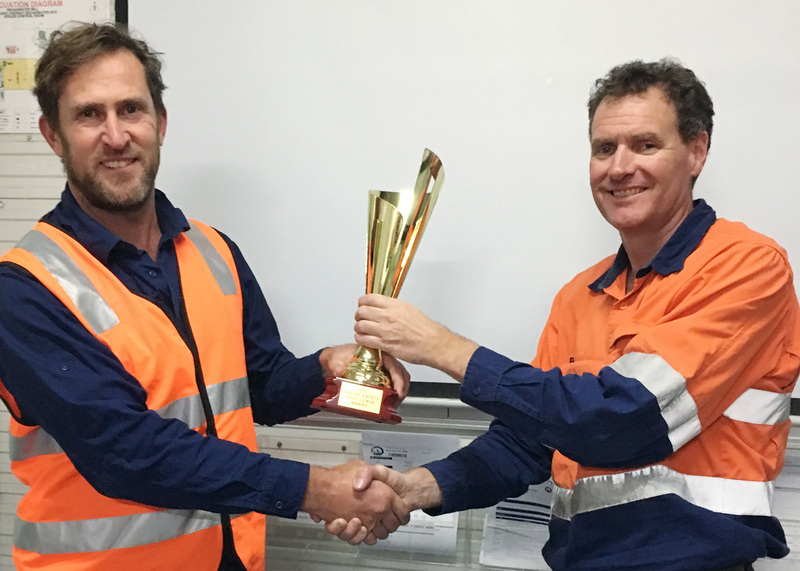 Gerhard Laubscher (General Manager) congratulates Todd Andrews (Broadwater Operations Manager) for Broadwater exceeding the FY18 Production Plan and presents Todd with a trophy for the Site. 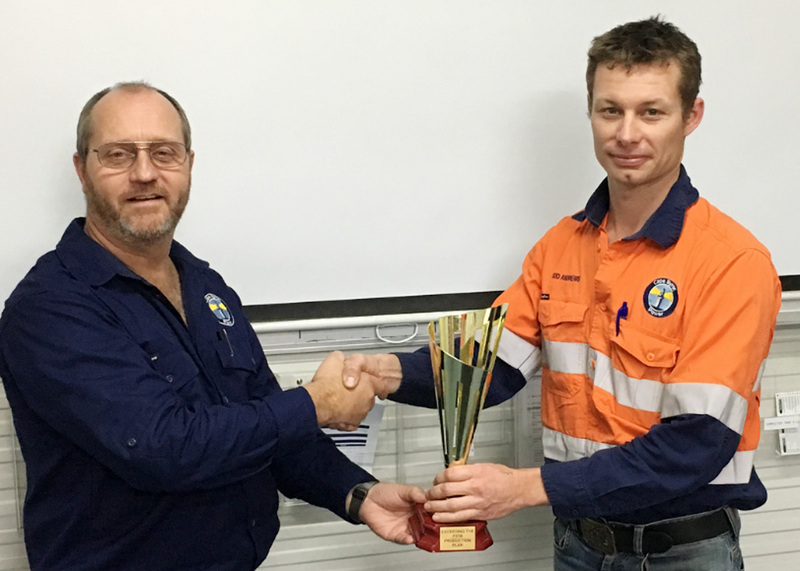 Matthew Jones (Health, Safety, Environment and Risk Manager) congratulates Zak Browse (Broadwater Operations Superintendent) for Broadwater maintaining an outstanding safety record during FY18 and presents Zak with a trophy for the Site. FY18 Annual Safety Excellence Award & Exceeding the Annual Production Plan – Broadwater. The Broadwater Cogen Power Plant ‘Team’ (excluding the operations shift employees) displaying their trophies received for Production and Safety Excellence.